The perfect organic pillow for those who "sleep hot." Our organic wool pillow is perfect for those who tend to “sleep hot” since the fiber helps stabilize temperature. Wool also promotes moisture evaporation for drier comfort. This pillow has an overall firm feel. *Mini: Length 12", Width 12"
Our customizable organic pillows come intentionally overstuffed. Remove as much fill as desired to adjust the height and overall feel of the pillow. Pro Tip: Save the fill in case you’d like to add some back in later on! 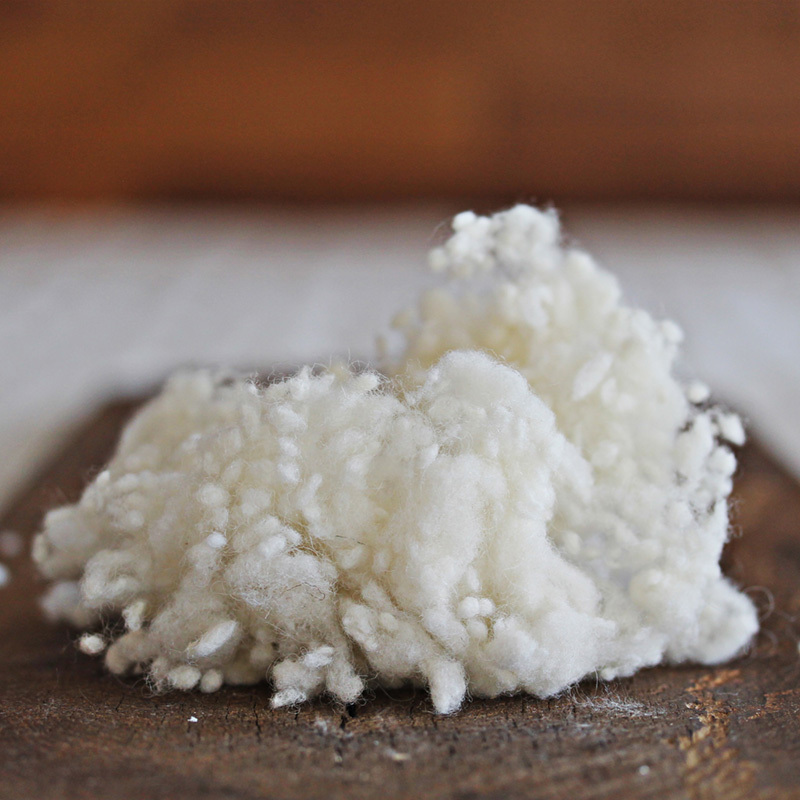 The wool in our pillows and mattresses is certified organic. We love using this material because it increases airflow so it will keep you cool in the summer and warm in the winter. 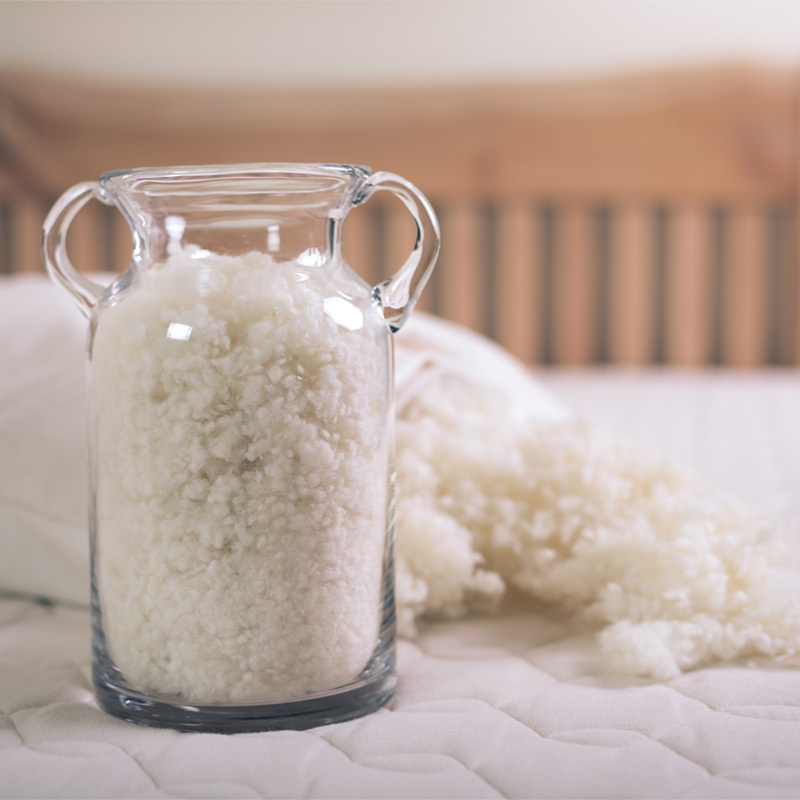 This cozy natural insulator will help you sleep more comfortably throughout the night. 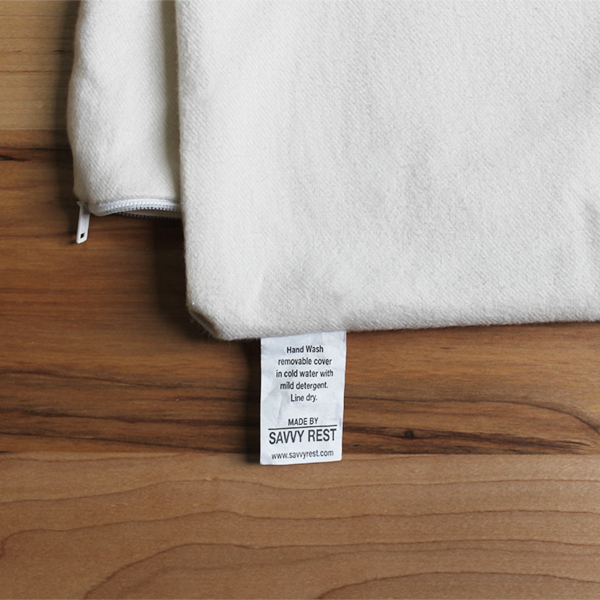 You may handwash the outer organic cotton flannel pillow case in cold water and line dry. 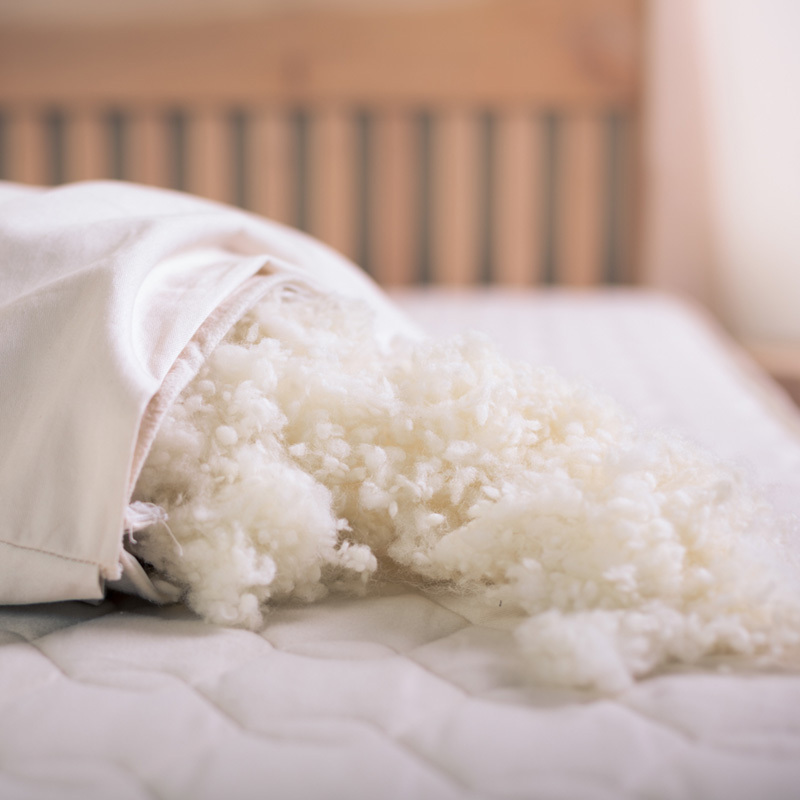 Our wool-latex pillow is the best of both worlds. 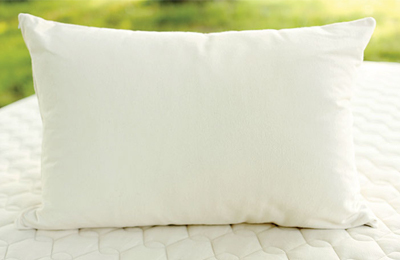 This adaptable pillow is filled with soft, shredded natural latex (blended Dunlop and Talalay). 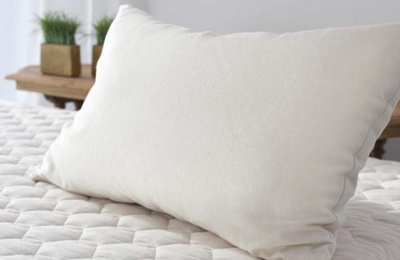 This vegan pillow offers luxurious softness and “fluffability” without the feathers. A body pillow can help you align your spine for the natural, comfortable sleep you need.